Kurt Cobain maintained that re-acquiring the Raincoats 1979 debut meant more to him than making his first million. Thirty years since the release of their sophomore album, Odyshape, in 2011 I got to interview The Raincoats about their legacy, working with Robert Wyatt and clear up about their involvement – or not -in Ten Things I Hate About You. 17 Seconds: You’re just about to re-issue your sophomore album Odyshape. What are your thoughts and memories of the album thirty years on? Gina: What I do remember is Robert Wyatt coming to the studio and playing drums along to our very oddly timed playing of ‘And Then It’s OK’, which we had recorded drummerless, speeding up and slowing down as the mood took us. Robert slipped seamlessly into the plan, and played as if he knew exactly where it was going, where it had come from and tuning in totally to its intention. Amazingly he made it all sound so much more focused than it had been. We had played for a while with Ingrid Weiss, a drummer, who was a 17 year old girl. She was very musical. She played drums on Odyshape and came up with the origins of the music for Shouting Out Loud. Sadly it didn’t work out with her for reasons I can’t even remember. Ingrid now is in Daisy Kitty and Lewis (their Mum) playing a mean double bass, still fabulous, musical and beautiful as ever. We were still rehearsing some of the time in the squat basement at the end of Monmouth Road, and then later in Vicky’s squat in Brixton. I had no hot running water at the time, and was at Hornsey art school in Alexandra Palace. I remember turning up to a rehearsal one day, to say I was leaving the band to concentrate on my studies at art school, then burst into tears and decided to I take time out of school to concentrate on The Raincoats. I did go back and finish my degree after two years out, and I made super 8 films and videos for my graduation. When we did Odyshape, as we didn’t have a drummer in the band, everything seemed more vague and on the other hand more open to possibilities, so we asked different people to play drums according to what we thought was best for each particular song. Richard Dudanski had already played with us before Palmolive, so we asked him to contribute. We also asked Charles Hayward, whose rehearsal studio we had used for a while and who ended up playing with us after the release of Odyshape. He is a great and sensitive musician and contributed a lot to the sound we had at the time he played with us, between projects he had with This Heat. It was very interesting to have other people come in and see how personal music really is. 17 Seconds: What does the album title mean? It comes from the song (track five on the album) but what was the concept behind the title? Gina: The title was a pun on the odyssey of a body. The idea that a body could have an ideal shape and it if did, what happens when a body doesn’t live up to that ideal. it was at a time, when (as probably now) there seemed to be a body fascism. It was important for women to be this shape or that shape. Thanks to people like Beth Ditto, and hopefully The Raincoats, things have been broken down a little. Hair can be crazy, messy, outfits can be baggy or tight, inside out or upside down, we can be fat or thin, creative, playful, stylish and beautiful without having to subscribe to some fashion mag ideal. 17 Seconds: You’re going to be playing your debut album at All Tomorrow’s Parties this December. How did this come about -and was this something that you had to think about, given that you have done this before? Gina: It seems a thing that bands are doing nowadays, playing whole albums, songs in the order of the album. We have performed The Raincoatsat the Scala once before and it was fun. Shirley walked across the stage with the vinyl album for side two and turned it over and then we played all the songs from the second side onwards. Ana: This ATP is curated by Jeff Mangum (Neutral Milk Hotel) and, apparently, he requested we play the first album. When we did this at the Scala, at the end we came back to do another set of songs. We’ll also do this at the festival. We’ve done ATP twice before and I really enjoyed the experience. Thanks Jeff for having us. 17 Seconds: Who will the live band be? 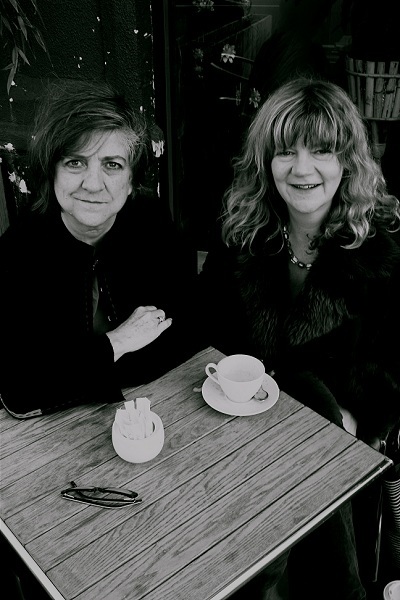 And who are the fulltime members of the Raincoats in 2011? for over a decade on violin and guitar and often we will play with Jean Marc Butty on drums, who has also played with us for many years. In the US we have sometimes had Vice Cooler playing drums with us, instead of JM Butty. 17 Seconds: It’s been mentioned numerous times how much the Raincoats meant to Kurt Cobain. Do you feel that this opened up an awareness of the band to people or have you felt frustrated that it took his enthusing to make many people aware of what you had achieved as a band? Gina: We didn’t expect the kind of enthusiasm and praise that we have subsequently got for our work. We did it for ourselves to stretch ourselves, to make the best most creative music we could and then move on. That we are now revisiting that work is strange, but fun and exciting. Ana: Having someone like Kurt Cobain and others of his generation praising our work definitely made a lot of people aware of it and therefore wanting to see those songs played live. We love playing live so, doing this is such a pleasure. We didn’t feel frustrated at all. We weren’t playing together anymore, so people were interested in other things, which is the natural way –new ideas, new challenges, new enthusiasms. But, in reality, some were actually interested without us knowing. This was a huge and rewarding surprise. Gina: Ray is reported as saying that he likes people who take an album track and make it a hit, not those who take a hit and make it an album track. A joke I suppose, but I have never heard any reporting that he liked our version!! Perhaps you could ask him yourself!! Ana: He made that comment when he had his eyes on Chrissie Hynde… she made the album track ’Stop your sobbing’ a hit. 17 Seconds: As well as the Raincoats, what other projects have the members got on the go (musical, or otherwise)? Gina: Too many to mention. Ana is doing a new solo album and making drawings. I am painting, knitting/felting, filming, editing, writing recording. The Raincoats documentary is coming on and most recently, managed to get an interview with John Lydon which is the last one I really wanted to get, apart from needing to rerecord the one with Beth Ditto as the tape screwed up. Ana: Yes, I’ve got an album in a very advanced state, but that last leap is taking a while. Maybe I’ll finish it during grim winter. Good time to work, isn’t it? I’ve been also making paintings and lots of drawings, which I’ll be showing together with Shirley’s photographs and Gina’s videos in an exhibition, which is part of Pop Montreal music and arts festival, where we’ll also be playing in September 2011. We’ll be doing a tour in the USA and Canada – New York, Washington, Chicago, Detroit, Toronto and finish in Montreal. 17 Seconds: Interviewing Viv Albertine last year, it’s clear that there was a link between The Slits and The Raincoats. Which other bands (if any!) did The Raincoats feel a kinship with? Gina: I think we felt a kind of kinship with many of the bands in and around Rough Trade, Swell Maps, Scritti Politti, Young Marble Giants. But we were very shy and didn’t really commune with other bands too much. I was a huge fan of The Slits, because it was them that made it seem possible to pick up a guitar and make a noise, as a girl. People love to go on about how terrible they were, (because on the whole, boys (oh.. vast generalization, I’m sorry!) tend to sit in their bedrooms perfecting their guitar skills till they are ready to ‘go public’) but The Slits were just amazing, brilliant because they were totally in the spirit of punk, fresh, unschooled, and without the preconceptions and boundaries of many bands. They were so feisty, creative, emotional, boisterous and that was such a treat to witness. Ana: We definitely felt part of something and Rough Trade bands were the ones we felt closest to, partly because we met there but also because we did gigs together. The reason for this was not because we were on the same label but because there was a lot of mutual respect based on the wonderful music they created, and because they were great people too. We also felt a certain kinship with other female bands, probably because there weren’t that many around and we were all fighting for a bigger female presence. There still aren’t as many as there should be. 17 Seconds: At the end of the nineties, The Raincoats appeared in Ten Things I Hate About You. How did this come about and how was the experience? Gina: The script writer I think was more ‘indie’ and ‘radical’ than the film turned out to be. We are not actually featured in anyway in the film, except for the namecheck. it would have been brilliant if they had used a Raincoats track on the soundtrack. Shucks!!! Maybe in the indie remake!! Ana: There was no experience to speak of. The boy mentioned us to the girl so he would appear cool and when the film came out someone told us there was this mention. 17 Seconds: As well as Nirvana and Sonic Youth, who else do you see as being indebted to the Raincoats? Gina: I have no idea!!!! Ana: Lots of people say that, especially female bands, but I think they would have done it anyway. You don’t only get inspiration from one thing or person. But if we have inspired anyone to do anything, then that is one mission accomplished. 17 Seconds: You make reference in the sleevenotes to friends using their vinyl copies of Odyshape to make fruit bowls out of. This is just as joke, right…? limb for some of my friends and they just didn’t get it. I don’t think Ana or I ever envisaged ourselves having a group, playing live or making records and when we got the opportunity we took the bull by the horns and stretched ourselves creatively as much as we could. Historically this has proved to be a good thing, but some of the time I felt quite vulnerable and was unsure that what we were doing was of any value. I am proud that we stuck to our guns and did not try to please others, just ourselves. There are obviously moments on all our records I think could be better or different, but they are a testament to where we were at the time. Ana: My experience is different from Gina’s. I think a lot of people, specially in other European countries, appreciated the quirkiness, guts, risk, variety and challenge of that album. We were in a different place as people and musicians and we let the new music reflect that. The first album is more punky but punk was all about challenge and thinking for yourself, about looking around and to yourself, about feeling free to find your own path, and Odyshape was as part of our path as the first album. 17 Seconds: As this is for a Scots-based blog, Is there ANY chance of Scottish dates any time in the future? Gina: Invite us, (and if it makes sense financially!!) Ana and I will be there, bearing in mind our drummer comes from France and Anne from tippy top of Scotland!! Ana: Anne wouldn’t be that far then! I remember one of the times we played in Scotland, it was Summer and we came back after the gig in a van, late, and soon after it got dark, it got light again. I’d never experience such a short night before the day broke. One of my favourite eras of music is 1976-1982, the period that gave us punk and its even more interesting fall-outs. One of the key players in the scene was Viv Albertine. At the point of this interview, she had started recording again after a gap of many years. She had just released an EP, Flesh, which would be followed by an album, The Vermilion Border, and her autobiography Clothes, Clothes, Clothes, Music, Music, Music, Boys, Boys, Boys. Last year, I even got to meet her at the Edinburgh Book Festival, where she signed my copy of The Slits’ debut album, Cut. Who would have thought it? 17 Seconds is 10 years old this month. It’s been a labour of love, but I’ve loved labouring over it. So, for what it’s worth, I’m going to share some of the things that I’ve enjoyed doing most over the years. Not that he doesn’t go back occasionally. 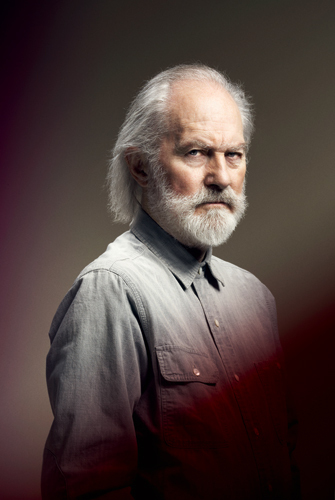 In fact, this year on November 5, Roy Harper will play his seventieth birthday concert at London’s Royal Festival Hall. His profile has been helped along of late by endorsements from a younger generation of musicians, including Joanna Newsom and Fleet Foxes, amongst others. I ask him if he can hear his influence in the new generation of acts. As well as his seventieth Birthday concert, he is re-issuing his back catalogue and is also set to release a new compilation, entitled Songs of Love and Loss, Volumes 1 & 2. Given the back catalogue that he has amassed, over the course of over forty years of recording, how did he go about selecting which songs made the cut? ‘Ouch,’ I say, somewhat involuntarily. I ask him about some of the musical collaborations he’s been involved in over the years. Famously, Led Zeppelin III closes with the track ‘Hats Off to (Roy) Harper.’ Although he wasn’t involved with the track, he did collaborate with the band members, and clearly has a lot of time for both Robert Plant and Jimmy Page on not just musical, but personal levels as well. As well as collaborating with the Zeppelin boys, he also worked with Pink Floyd. I ask him about his contribution to Floyd’s 1975 album, Wish You Were Here. Harper sang lead vocals on the track ‘Have A Cigar.’ He is, politely, rather guarded, about his work on this album, the only time during our conversation I sense some reluctance on his part. ‘Roger [Waters, Floyd singer, songwriter and bassist] wrote a song he couldn’t sing, basically,’ he states. ‘It was two semitones too high for either of them [Waters and Floyd guitarist David Gilmour] to sing. They were going to shelve it.’ Harper however contributed his vocals to the track about the record exec who’s purely out to make money, and it’s gone on to be performed by Floyd’s members since then. ‘Roger’s been singing it ever since -or trying to!’ he chuckles. Of course, the reason why he was asked to perform on Wish You Were Here was that he was recording his own album, HQ, in the next door studio at Abbey Road. Known in the US and Canada under the title of the final, closing track ‘When An Old Cricketer Leaves The Crease’ which is probably the best known song in a very impressive catalogue. I ask him if he’s comfortable with this being seen as his epitaph. ‘There’s plenty of songs that rival it, but it happens to ring a bell for people -and it’s a bell I purposely rang.’ It’s a hugely affecting song, from its’ deceptively simple melody, beautiful David Bedford arrangement and brass from the Grimethorpe Colliery band. ‘Its’ message is of someone looking back at these Islands, at this peculiar little corner of England. He adds: ‘You say that there was some sort of perception that cricket was played by a certain class, but in your perfect Eleven [the number of players on a side in cricket] it’s the blacksmith who traditionally gets the job as the fast bowler! He’s the player who has to come in!’ He is still a cricket fan -as well as being a lifelong supporter of Manchester City. Earlier in the conversation he had spoken about his shared earlier influences in common with the Floyd and Zeppelin boys being Skiffle. But -and if you’ve heard his music you should know this – it’s revealing that his early influences were the romantic poets, particularly Keats and Shelley. I tell him that his comment about ‘iTunes and the dark satanic mills’ reminded me of another poet who blew me away as a teenager: William Blake. Not surprisingly, the man who wrote Songs of Innocence and Experience and ‘Jerusalem’ was a huge influence on Roy Harper. Partly, this is to do with Harper’s well-documented distrust of organised religion. ‘Blake’s sensibilities told him other things, in an age when it was impossible not to be a Christian,’ he states firmly. ‘This was the age of reason, things were being discussed on a broader scale than ever before. I think of Blake as a hugely important figure. There’s some kind of alternative ghost in the background – I love him because of that. You could see him struggling with that, and knowing that it was going to be discussed by people like me. He was a man worthy of being lauded in any age,’ he says, decisively.